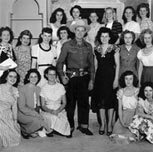 Gene Autry's fan clubs have a long history dating back to Gene's earliest days as a performer. 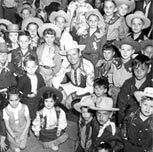 The fan clubs were a way of like-minded Gene Autry fans to connect across the United States, Canada, Great Britain and beyond. Many members established lifelong friendships. Now in the 21st Century, Gene Autry’s fans connect via the Internet and with emails, sharing friendships across the globe. If you are a current member of Gene Autry's Friends Fan Club you will receive bi-annual correspondence from Gene Autry Entertainment. 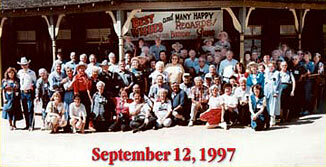 The Gene Autry's Friends Fan Club journal is on hiatus for 2008. No dues are necessary to remain a member in good standing. Gene Autry Entertainment does not share or sell email addresses or mailing addresses.